A windowless office or cubicle may seem like the most inhospitable environment for any plant, but there are many that will grow and thrive in an office. Look for a plant that will survive the dry, low-light conditions of a typical windowless office. Not only will it brighten up your workspace, but it will also help clean the air. 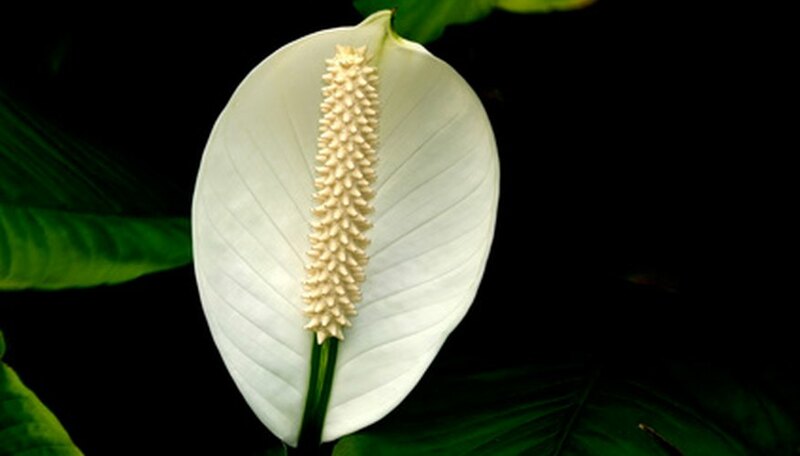 The peace lily (Spathiphyllum) can endure drier air and low light, making it a great plant choice for an office. Its glossy green foliage and showy white flowers reach 1 to 4 feet tall and wide. Water its soil evenly but don't let it get soggy. Too little water will cause the plant to wilt, but it is easily revived. The peace lily is one of the best plants for purifying the air. Pothos, also known as Devil's Ivy, (Pothos sp.) grows well in low light and humidity. It can also handle a certain amount of neglect and drier soil. Pothos has trailing stems with green and white marbled leaves. 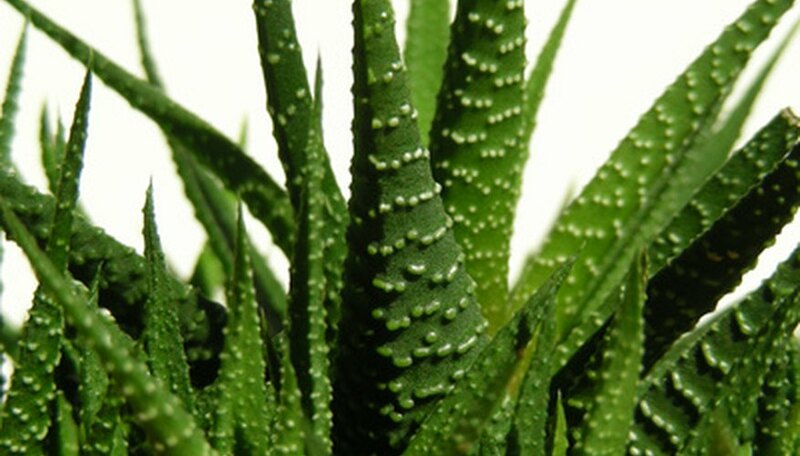 You’ll need to trim back this plant’s stems to control its vigorous growth. Water only when first inch of soil is dry. The leave's variegated look may fade or disappear if your light conditions are particularly low. The heartleaf Philodendron (Philodendron scandens) is the ultimate windowless office plant, growing well under fluorescent lights and withstanding severe neglect. Water this plant only when the soil is very dry, and it will last for years. Yellow leaves or dead growing tips are signs of overwatering. Lucky bamboo (Dracaena sanderana) adds an exotic touch to an office, and it can grow in a completely windowless environment. Lucky bamboo will live happily on a desk in a glass vase or dish filled with colorful pebbles and some water. 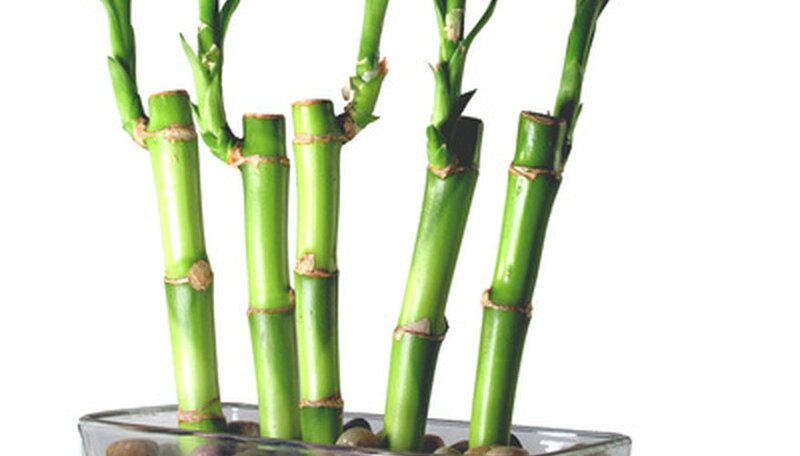 Change the water once every week or two, and your lucky bamboo will thrive. If the plant gets too leggy, just trim the canes back to their original length. The ficus (Ficus benjamina) is one of the most popular office plants. 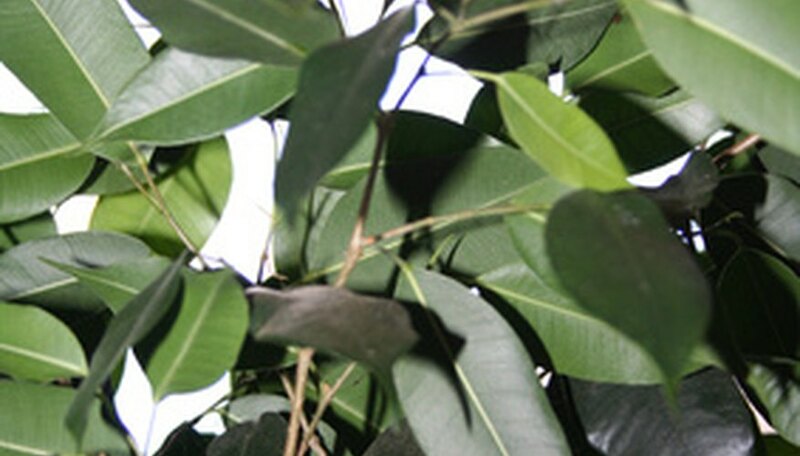 The ficus has dark-green leaves, small, weeping branches and often a braided or twisted trunk. Although the ficus does enjoy some sunlight, it will grow well under bright fluorescent lights. Water the ficus when the soil dries out, and mist it with warm water occasionally. The cast-iron plant (Aspidistra elatior) likes drier conditions and easily endures low light, making it a good choice for a windowless office. Its dark green, leathery leaves resemble corn leaves and can reach 20 inches long. This slow-growing plant will not tolerate soggy soil. The Chinese evergreen (Aglaonema commutatum) grows well in low light and requires virtually no repotting. It has green-and-white streaked leaves that grow in clumps. The Chinese evergreen likes to be pot-bound. Water once or twice a week to keep its soil moist. The corn plant (Dracaena fragrans ‘Massangeana’) is the ultimate indoor plant, often seen in shopping malls and offices. The corn plant likes neglect and low light. Allow the corn plant to dry out between waterings and don’t fertilize too much, and this plant will grow happily in your windowless office. It can be grown as a low shrub by rooting tip cuttings, or grow it as a tree by rooting mature canes. The bird’s nest fern (Asplenium nidus) is extremely easy to grow in an office environment, enjoying little light. Water it once or twice a week and mist its leaves to keep it happy. Its bright green, simple fronds are similar to banana leaves, rolling back as they brown.